NASHVILLE, Tenn. — In their strongest terms yet, the Mets confirmed what had long been a foregone conclusion. A reunion with Yoenis Cespedes is highly unlikely, especially with the slugging outfielder expecting at least a six-year deal that could wind up in the $150-million range. “Right now, I still think he’s looking at a deal that would be north of what we would consider,” assistant general manager John Ricco said Sunday night, on the eve of baseball’s winter meetings. Instead, the Mets’ focus remains on signing free-agent Ben Zobrist as a more versatile replacement for free-agent Daniel Murphy. They also will seek a bullpen upgrade and an outfielder capable of playing centerfield. But for now, Zobrist stands at the center of the Mets’ plans. Ricco expects he’ll make a decision as early as during these meetings. The competition will be stiff. 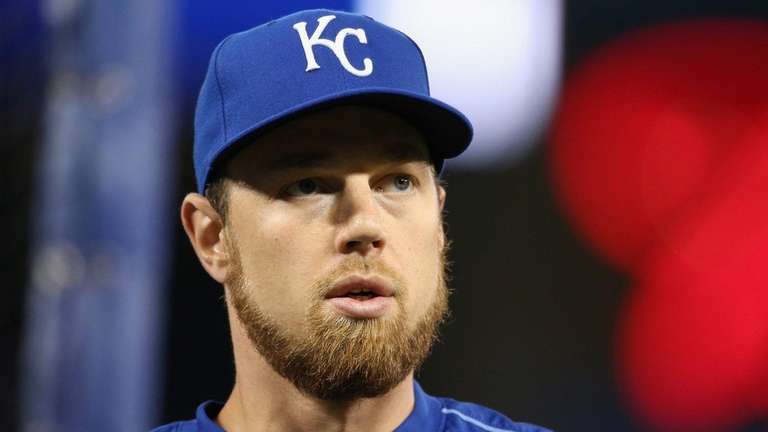 According to an industry source, six teams are in play for Zobrist, who is expected to attend an event at the winter meetings on Tuesday. The Mets begun crafting contingency plans should they miss out on Zobrist, though those alternatives aren’t clear. They consider Murphy an potential option and have reached out to representatives of shortstop Asdrubal Cabrera. But Ricco maintained that given shifts in the market, it’s “too simplistic” to simply narrow down a single fallback option. Two top relievers came off the board on Sunday. According to multiple reports, Darren O’Day is nearing a $31-million deal with the Orioles. And the Athletics gave Ryan Madson a three-year contract worth $22 million. But Ricco said those signings shouldn’t impact the Mets, who are not involved in pursuing the top tier of relievers. Mutual interest exists in reunions with Bartolo Colon and Jerry Blevins. Ricco said Blevins is expected to be fully recovered from his forearm injury by next spring. He could fill a need for the Mets, who seek shutdown lefthander for the bullpen. Colon could return as a swingman, especially after he thrived in a relief role during the postseason. Bryan Alderson, a Mets scout, will accept the executive-of-the-year award on his father’s behalf this week. General manager Sandy Alderson remains in New York to begin chemotherapy treatments . . . Wilmer Flores has stopped playing winter ball after being hit by a pitch in the ankle . . . The Mets have enough pitching depth to consider trading Jonathon Niese, though Ricco said the club is not shopping the lefty.